All the rooms at Side Lilyum Hotel&Spa come with a minibar. A private bathroom with hairdryer is also standard. Only 500 m from the beachfront, Side Lilyum Hotel&Spa has its own beach area with free sun loungers and paraols, indoor and outdoor pools and spa facilities. It offers air-conditioned rooms with a satellite TV and balcony. Free shuttle services to the beach are available. The pool and beach area is ideal for relaxation and sunbathing. Spa facilities include a Turkish bath, sauna and massage services. There is also a children’s playground. Limited WLAN is provided is provided in the lobby area and the pool area free of charge. Daily breakfast is served in buffet style. The main buffet restaurant serves traditional and international tastes, and you can taste a selection of Ottoman dishes at the à la carte Ottoman Restaurant. Gozleme, a savoury traditional Turkish pastry, is also served on the beach from 11:30 until 15:00. Side town centre, where you can see Apollo temple, is 8 km from Side Lilyum Hotel&Spa. Antalya Airport is 60 km away. Free private parking is available on site. Nightly rates from $172 to $76. This triple room features a balcony, satellite TV and air conditioning. There is no capacity for extra beds in this room. If you get stuck in the elevator at night you will be helped quickly. Was on holiday with my kids and friends there. The hotel exudes a good atmosphere. The rooms are spacious, good standard of beds and closet. Rooms were always well clean. All the staff were nice and very anxious. The food was class very varied and beautifully prepared, the service in the restaurant was also nice and nimble. Good entertainment program, gym, million small shops, hairdresser, doctor, SPA on site. The hotel also has its own beach area with a beach bar, where a Shattelbus also goes. The footpath is just under 10min. All in all, it was a very nice holiday for all of us. The rooms are not good and not clean, there is no entertainment in the evening and the disco is only open 3 times a week and for that it is very small. The Wlan in the lobby is also very bad and somewhere else you don't have anywhere but you buy it. The food was very tasty for it and the beach was also very good the pool was always clean and nice cool. Great service, better than in Russian-speaking hotels. The hotel specialises in Germans. It is a great idea whether you really book this hotel. We are dissatisfied with the cleanliness! In addition, the bed was not even freshly sourced for the whole 14 days and did not bring us 2 days of toilet paper in the room, so we had to get it ourselves at the reception! We also missed the towels in one day! And this is despite the fact that we have tiphed the cleaning lady extra! The pool bar closes at 24:00 am on the Internet that you can book all inclusive and continue drinking in the lobby! Once there, we have had to make sure that from 24am, 00, every drink costs extra, even a water! For the little purse Okay! However, do not make high demands! We try to do the best thing! Great hotel. 5 stars Plus. 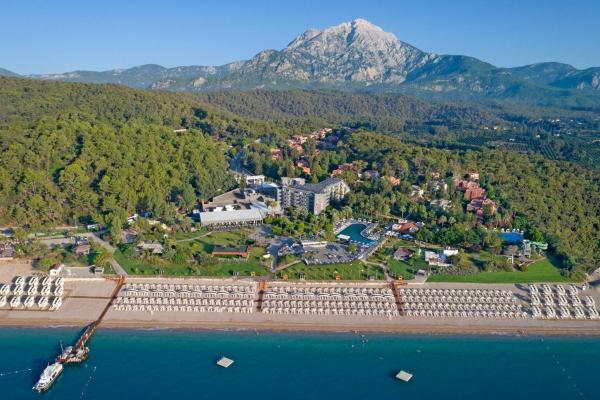 Choosing this hotel, be prepared for the fact that it is designed mainly for a demanding European. The main money is euro, you need to know German or at least English language. If you are looking for rest and relaxation then it is your choice. The beach is 300 metres away and there is a regular bus service. Friendly staff, clean rooms, very relaxing and familial atmosphere. Very friendly staff. Clean rooms, and a large selection at the Buffet. We will definitely be back. Holidays 2014 – by the 28 09-08 10. The hotel is very child-friendly. 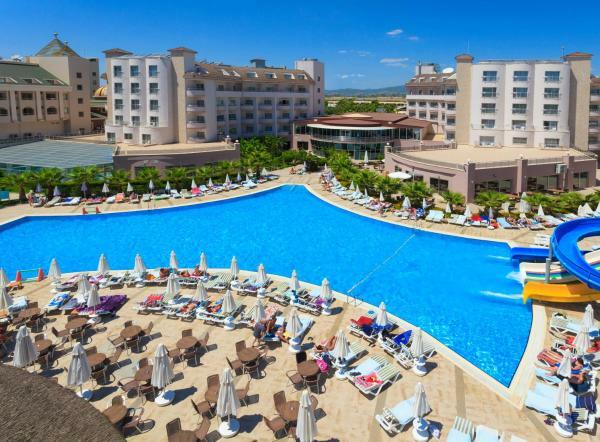 Good transport connections to Manavgat and side; top friendly staff, very clean room; every day fresh towels; well maintained complex with pool, bar, etc. Goods in since September. All very friendly. Food was there for every taste. Rooms very spacious. Please note that only mail order payment with ID Card and credit card copies is accepted for non refundable bookings. The property will send mail order form after booking.